Ayatollah Jawadi Amoli is one of the most respected scholar, mufassir, and philosopher of our times. 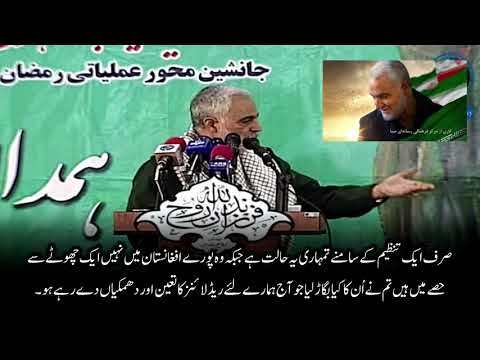 Watch what he has to say regarding General Qasem Soleimani. 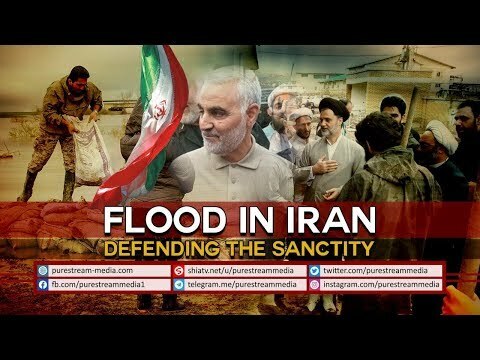 A tribute song to the courageous soldier of Imam Khamenei - General Qasem Soleimani who has been a thorn in the eyes of the enemies. El Cuerpo de Guardianes de la Revolución Islámica informa al Líder iraní de la victoria ‎de la Resistencia en la lucha contra el EIIL.‎ El comandante de las Fuerzas de Quds del Cuerpo de Guardianes de la Revolución Islámica (CGRI), el general Qasem Soleimani, en un importante mensaje enviado hoy martes al Líder de la Revolución Islámica, el ayatolá Seyed Ali Jamenei, ha informado de la victoria de los combatientes del eje de Resistencia en su lucha contra el grupo terrorista EIIL (Daesh, en árabe) en Siria. “Le informo humildemente del fin de la operación para la liberación de la ciudad de Abu Kamal, último feudo de Daesh en Siria, con la retirada de la bandera de este grupo estadounidense-sionista y su sustitución por la bandera de Siria”, ha señalado el general Soleimani. En su nota destaca, por una parte, el liderazgo y las directrices del máximo clérigo chií de Irak, el gran ayatolá Seyed Ali Sistani, y, por otra, la resistencia de las Fuerzas Armadas de Siria e Irak, en especial, de las fuerzas populares de Al-Hashad Al-Shabi. También el determinante papel del Movimiento de Resistencia Islámica de El Líbano (Hezbolá) y de su secretario general, Seyed Hasan Nasrolá, y el coraje de los jóvenes musulmanes que desempeñaron un rol definitivo a la hora de encarar dicho “envenenado huracán”. También ha mencionado los crímenes de lesa humanidad perpetrados por los terroristas, su brutalidad, sus acciones violentas y el alto nivel de destrucción que han provocado en los últimos seis años en “dos países muy influyentes del mundo islámico” con el objetivo de crear lo que califican de estado Islámico de Irak y el Levante. Le informo humildemente del fin de la operación para la liberación de la ciudad de Abu Kamal, último feudo de Daesh en Siria, con la retirada de la bandera de este grupo estadounidense-sionista y su sustitución por la bandera de Siria”, ha señalado el general Qasem Soleimani, comandante de las Fuerzas de Quds del Cuerpo de Guardianes de la Revolución Islámica (CGRI). Israel reconoce que Al-Asad gana la guerra contra terroristas | HISPANTV El ministro israelí para asuntos militares, Avigdor Lieberman, reconoce que Siria ha ganado la lucha contra el grupo terrorista EIIL (Daesh, en árabe). “Líderes y organizaciones vinculados con Estados Unidos diseñaron al detalle los crímenes perpetrados por los extremistas takfiríes, tal como han confesado las máximas autoridades estadounidenses”, ha apostillado. En la última parte de su mensaje al Líder de Irán, ha felicitado esta gran victoria tanto al ayatolá Jamenei como a la nación de Irán, amén de a los pueblos reprimidos de Irak y Siria y a los musulmanes del mundo. 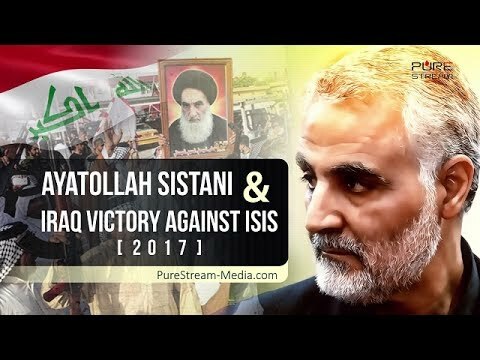 El general Soleimani desempeñó un papel crucial en los duros combates del domingo para hacerse con el total control de la ciudad de Abu Kamal, la última urbe que controlaba Daesh en el este de Siria, en la provincia oriental de Deir Ezzor, fronteriza con Irak, por lo que, además, se cierra el acceso de los terroristas a las fronteras con Irak. Desde el inicio de las crisis de Irak y Siria, la República Islámica de Irán ha apoyado a los Gobiernos y las naciones de Irak y Siria con asesoría militar por solicitud de Bagdad y Damasco, respectivamente, y asegura que seguirá ayudando a sus vecinos hasta la derrota total del terrorismo en la región. A once thriving reception hall has been reduced to catering to the funeral business and the somber rituals of death. The owner, Soleimani, is a sour, lonely and unloved old man who treats his workers with contempt, inflicting small cruelties whenever possible. Embittered and seeing a psychologist, he decides he will close the business in twenty days, sending his staff, already fighting just to get by, into a state of fear and uncertainty. Like a close-knit family, the staff members endure their daily suffering together. These good-hearted people include an ostracized young widow trying to survive with her daughter; a chef with a paralyzed arm who has a demanding wife; and two young men, working but homeless, who must sleep in the company\'s truck. Despite Soleimani\'s indifference to their plight, the people on his staff have retained their hope and humanity. As the threat of closure nears, they work together to save the hall and at the same time attend to each others\' emotional needs. We proudly give sacrifices in the way of Allah and cherish to stand up for the rights of the innocent. That said, rest assured, we are determined to make these sacrifices pricey and costly for the enemy. Must watch! The Islamic Ummah is in the formation! For those who wished to draw sectarian and nationalistic lines between the dignified Muslim Ummah are miserably failing. All Muslims and the oppressed people around the globe are gradually uniting to welcome the Awaited Savior. 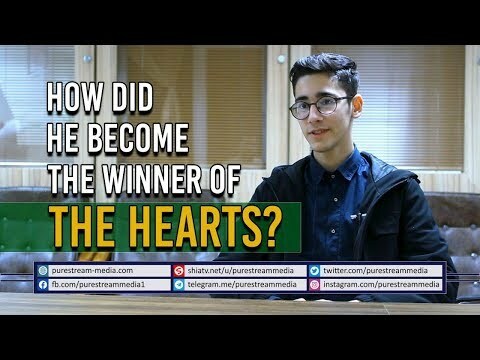 How Did He Become The Winner of the Hearts? What is it so special about this young boy that Gen. Qasem Soleimani met him? Not only that, the Leader met him in person. Watch for yourself..! Iran blocked access to Google\'s Gmail service Monday in reaction to the anti-Islam film that has triggered protests across the Muslim world. The move is among first steps by the Islamic republic to establish a walled-off national intranet separate from the worldwide Internet. Internet websites circulated the news Monday, saying that curbs were announced in a mobile phone text message quoting Abdolsamad Khoramabadi, an adviser to Iran\'s public prosecutor\'s office and the secretary of an official group tasked with detecting Internet content deemed illegal. \"Due to the repeated demands of the people, Google and Gmail will be filtered nationwide. They will remain filtered until further notice,\" news websites claimed the message has read. Iran bans GmailAccording to the website, Khoramabadi claimed the decision was taken after Iranians pressed the authorities to filter the sites because of links to the film. The Young Journalists Club, an Iranian semi-official news agency that broke the news, said the move was in reaction to YouTube\'s refusal to take down the offensive film against Islam, Innocence of Muslims. Iran is working on rolling out its national intranet that it says will be clean of un-Islamic content. Officials say it will be faster and more secure. Despite fears by Iranians that the new intranet would supplant the Internet, Mohammad Soleimani, a lawmaker heading a parliamentary communication committee, was quoted last week by the ISNA news agency as saying that \"the establishment of the \'National Internet\' will not cut access to the Internet.\" \"Cutting access to the Internet is not possible at all, because it would amount to imposing sanctions on ourselves, which would not be logical. However, the filtering will remain in place,\" he added.